Longer lasting than steel blades, Oldham's Industrial Carbide blades are designed for almost any project at an affordable price. 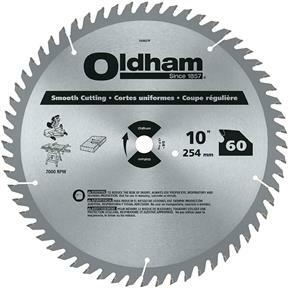 Featuring C2 Carbide tips, these blades can handle the task without adding to high cost. 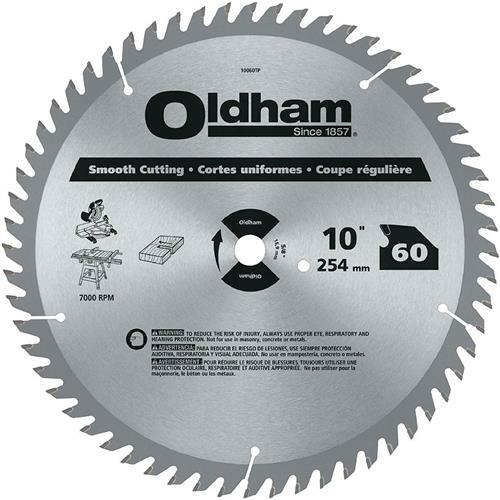 10" blade with 5/8" arbor, for clean ripping and crosscutting all types of wood, finished plywood, and prefinished materials.